Sitting waiting for a press conference to start I met DA Modimolle-Mookgophong Municipality Mayor Marlene van Staden a most impressive articulate person (she is undoubtedly Afrikaans speaking but spoke English like a native), her colleague the DA Mayor from Drakenstein (Paarl), Conrad Poole. They were later to report – once Maimane arrived – how DA municipal governments (or DA-led coalitions) were delivering to the people and turning what they see as corrupt ANC municipalities around. Municipalities swamped by debt under the ANC had been turned around. I don’t doubt that what they claim is totally true. Van Staden said her municipality had inherited more than R300 million in debt, and no cash flow, from the previous ANC government. Maimane, of course, was immediately asked why the Cape Town embattled-Mayor Patricia de Lille was not present. His answer was that this was a focus on the non-metro municipalities. He was peppered with questions about who was to follow De Lille, now that she had agreed to resign as mayor. Most of the questions, including my own, did not focus on the rural municipalities which the DA helps to run – we were, of course, more interested in Cape Town. When he was first elected in 2015 to replace Zille, this columnist was impressed with the man. He had led crowds through Johannesburg to protest the corrupt rule of Zuma. They were overwhelmingly black crowds of DA supporters. This was impressive, given the historical white background of the DA, which is born out of the Democratic Party and the Progressive Federal Party, a party which I personally supported in the pre-democracy period and which did a sterling job exposing the viciousness of apartheid, albeit through a flawed tricameral parliament. One thought at the time of Maimane’s election as national leader that Zille had found a successor who could lead the liberal opposition and draw much-needed black support to the party. There is no doubt that this happened in 2016. In the general municipal poll, the DA astonishingly took Nelson Mandela Bay – in the heartland of the ANC’s Eastern Cape powerbase – Johannesburg and Tshwane – and of course, held on to Cape Town, with an impressively high 66 percent support level. The DA governed or led the governance in four of the eight metropolitan cities. It suddenly was a party to be reckoned with. 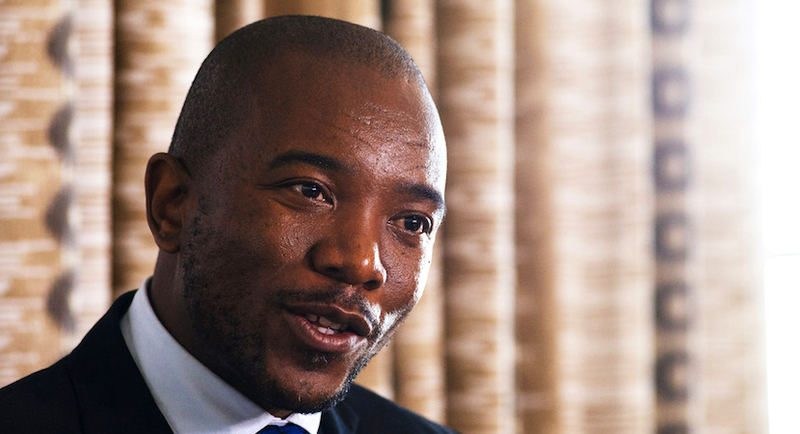 There is no doubt that the bulk of the new support for the DA was from black voters and it kept its coloured, Indian and white voters – with which it has predominated since the 2009 national election – on board. In 2016, the ANC was still the largest party overall, earning 53.9% of the total vote. It was followed by the official opposition Democratic Alliance (DA) with 26.9% and the Economic Freedom Fighters (EFF) with 8.2%. This compares to 2011 when the ANC won just under 62% of the vote and the DA won just under 24% of the vote. With the ANC slipping in the opinion polls to below 50 percent – and in the municipal poll to just short of 54 percent nationwide in 2016 – things were looking rather good for the DA, and indeed, other opposition parties like the EFF and Inkatha. With the wafer-thin election of Cyril Ramaphosa in December 2017 as president of the ANC, the positive electoral picture – and projected fortunes – of the DA slipped. I was about to write “evaporated”, but that also would not be true. There is little doubt that Ramaphosa has restored – at least for now – some of the street cred of the ANC. There is no doubt that the factional battles waged over the Patricia de Lille affair have damaged the DA party in the Western Cape. Yet it has NOT suffered in the municipal electoral barometer in other provinces. Indeed, only last week, the DA picked up a largely black township seat in Burgersdorp in the Walter Sisulu municipality in the Eastern Cape from the ANC. 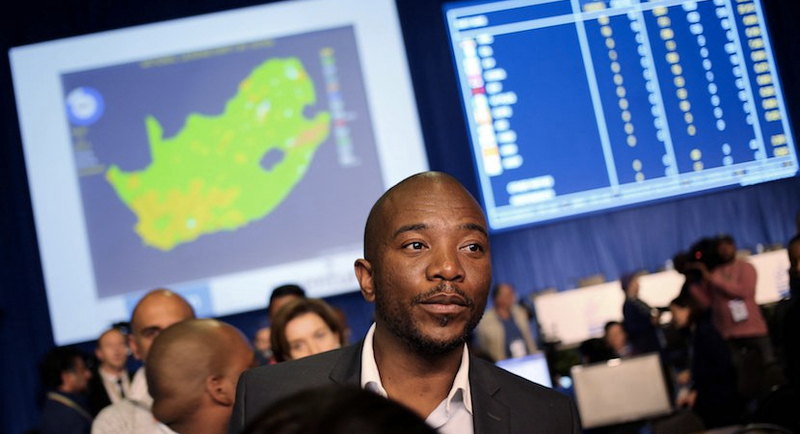 A wafer over 50 percent gave the seat to the DA, with the ANC only slightly behind. But it was, indeed, a significant victory for the effective deputy leader of the DA, Nelson Mandela Bay Mayor Athol Trollip. People close to Maimane, or at least to the DA, believe that he is weak, or certainly not as forthright as Zille. One key commentator says he isn’t really a liberal. These comments flooded through my mind as I listened to Maimane on Monday. I asked him if he backed Zille for a return to the job as Mayor of Cape Town? He waffled a reply. He said he would be on the selection panel and the panel would select “the best” candidate for Mayor. So one can, I believe, take the answer to be NO to my question. I then asked whether the agreement with Patricia de Lille included a clause in which both parties, the DA and the outgoing mayor, would end legal actions against each other? I particularly wanted to know whether De Lille had agreed to stop taking legal action against her opponents in the DA parliamentary caucus and the city caucus. Immediately after the agreement De Lille said she would be litigating against a number of them, including JP Smith, the person she selected to serve on her own mayoral committee. Maimane’s answer was incomprehensible. There would be no finger pointing at anyone, or something. All investigations for any wrongdoing would proceed. 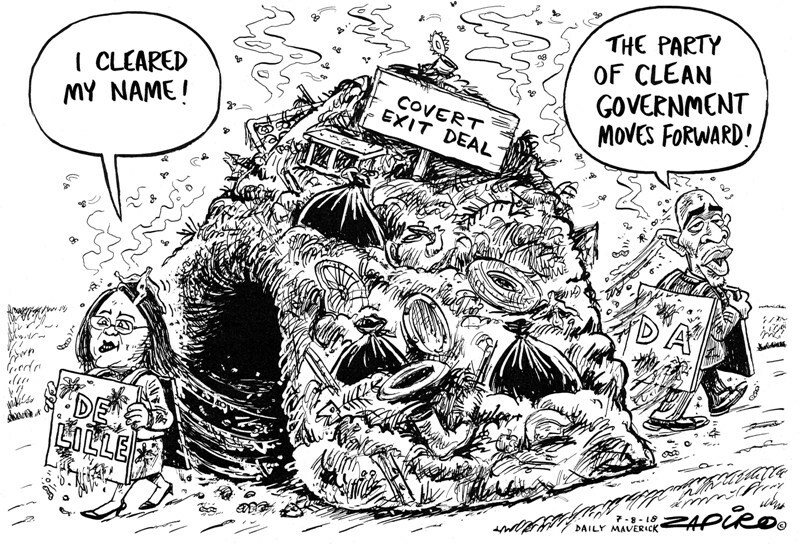 De Lille Deal. More of Zapiro’s magic available at www.zapiro.com. Quite frankly the DA’s grip on good governance – which they shout from the mountains – is slipping. It is particularly the case in Cape Town and other Western Cape municipalities, like Knysna, George, and Matzikama (Vredendal). So what does this all mean for the DA in 2019 and its aspirations to enter the Union Buildings? Much of it is background noise. Much of it will have been forgotten by next year, including, one hopes, the faction-driven clash over Patricia de Lille. But as one DA MP pointed out to me, people vote for their dreams, but they also vote if they are heavily against something or other. Under Zuma, voters came out against him in droves – to the DA, EFF and Inkatha. In 2019, the explosive land expropriation issue will be a big drawcard for those three latter parties for different reasons. Most pundits believe that the ANC will still get over 50 per cent in 2019, but it is not beyond the bounds of possibility that it could be somewhere below that magical figure. The land issue, and how voters react to it, will be the key to the outcome. Maimane will still be the leader in 2019. His party may slip a bit, but then again, it may just level peg to about 25 to 27 percent of the electorate. It is simply too early now to tell… as so much can happen in 11 or 12 months. One suspects Maimane will be forgiven for “weakness” and allegedly forgetting the liberal principles of the party. Voters are not interested in factional battles and Maimane may well have put these behind him by then. If he has not, the party WILL be punished for its display of disunity. There is an outside chance he could end up in an ANC-led national coalition government. He could be Deputy President or a member of the cabinet. It will be a tough new role to play. But then again, he may only return to the bench of Leader of the Opposition. Whatever happens, Maimane will preside over a hornets’ nest, which is what most political parties are most of the time. Donwald Pressly is editor of The Cape Messenger and political editor of The Messenger South Africa.